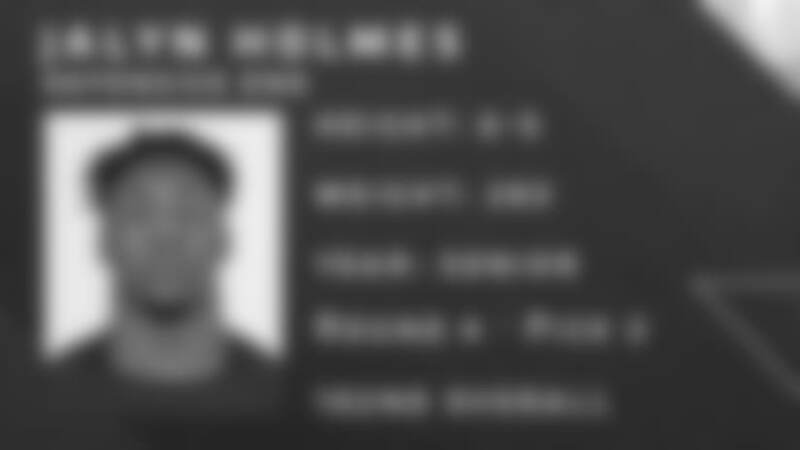 *EAGAN, Minn. — *The Vikings began the third and final day of the 2018 NFL Draft by drafting Ohio State defensive end Jalyn Holmes. Holmes was a team captain in his true senior season of 2017 and made nine starts, garnering an Honorable Mention All-Big Ten selection by coaches and media. 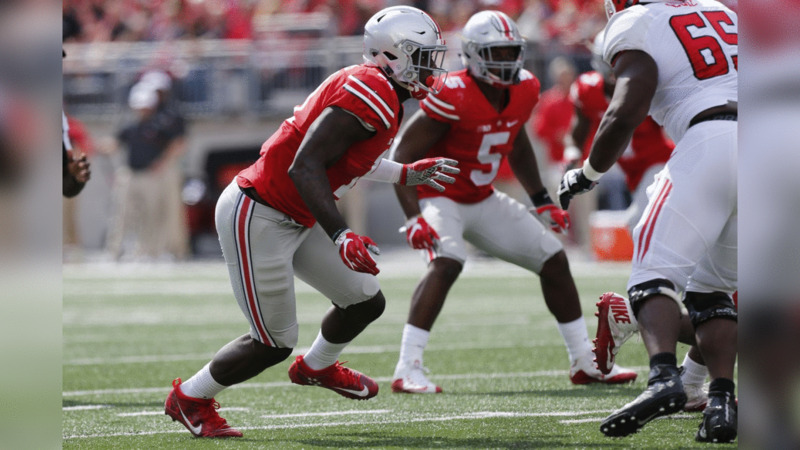 The 6-foot-5 defensive end totaled 51 games during his Buckeyes career. Holmes helped Lake Taylor High School win its first Virginia 4A state championship in 2012 by racking up 79 tackles, 40 tackles for loss and 11 sacks. The pick was announced in St. Paul by the U.S. Olympic Curling Team. If he improves his hand usage and adds lower body strength, he has the potential to become an effective 3-4 end with the ability to push the pocket as an interior rusher in sub packages. Holmes lacks the explosiveness to be a starter who will fill up the stat sheet, but he has intriguing size/strength potential that could make him a better pro than college player.